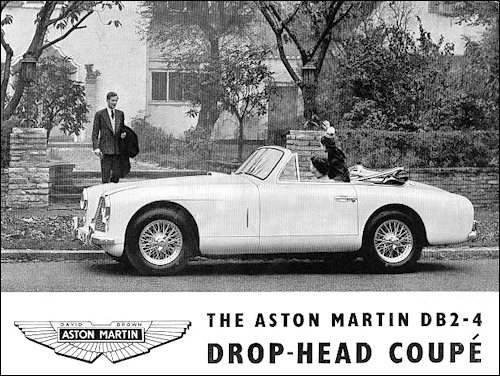 Aston Martin DB2-4 Saloon and Drophead Coupé are fitted with the 125bhp Vantage engine as standard (it had been optional on the superseded DB2). 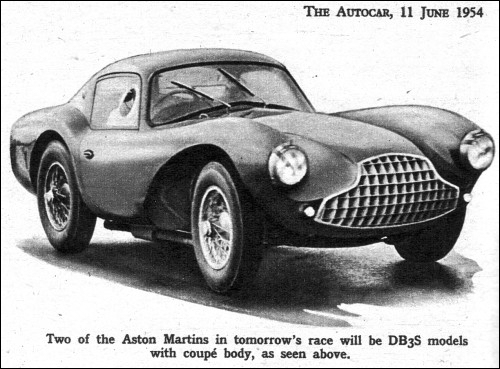 Although the main mechanical features and the front and centre section of the chassis are basically the same as on the DB2, the rear of the car was completely redesigned. 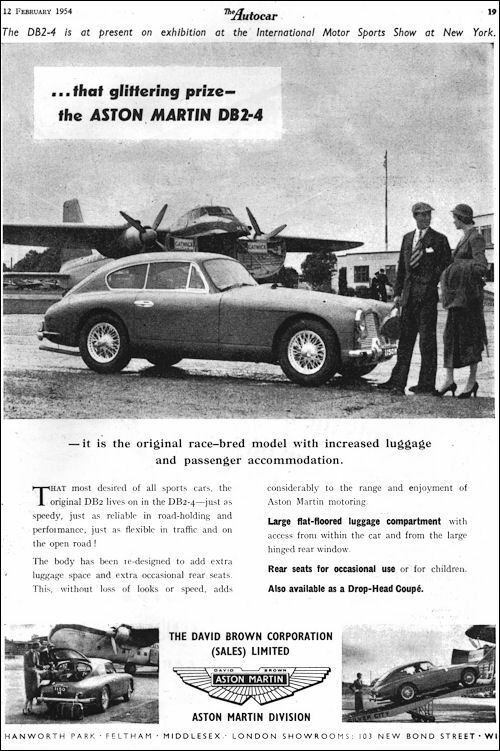 In addition to having two additional (emergency) seats it have a large luggage platform accessible via a tailgate which is hinged above a greatly enlarged rear window. 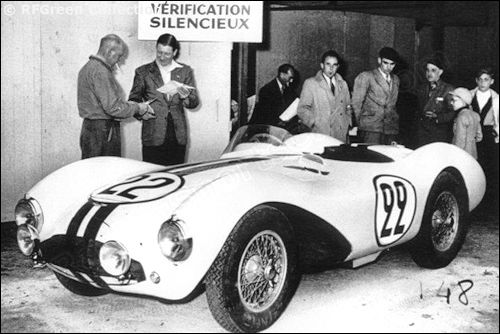 Later production models had a 3-litre (2922-cc) 140 bhp engine as standard giving 120 mph. Wheelbase is 8 ft 3 in. DB3S przygotowany do startu w Le Mans.